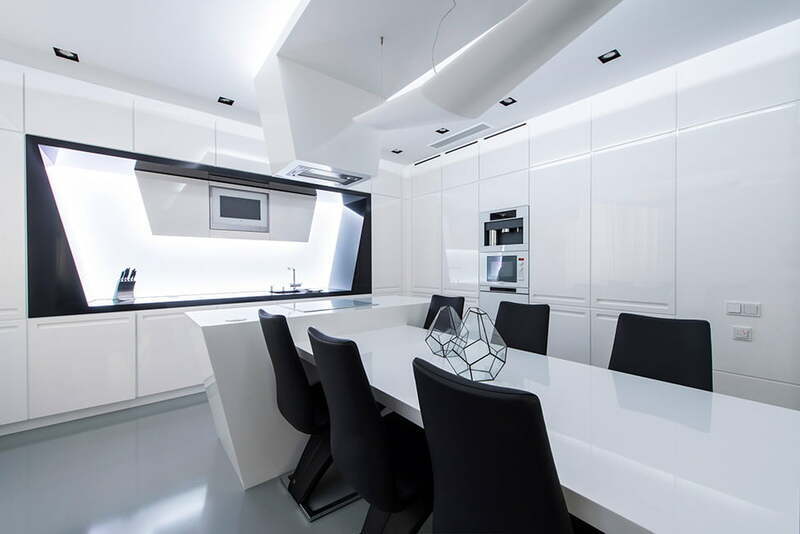 Modern Interior Design in Black and White Geometry by Geometrix Design Located in Moscow, this apartment was a project by Geometrix Design. 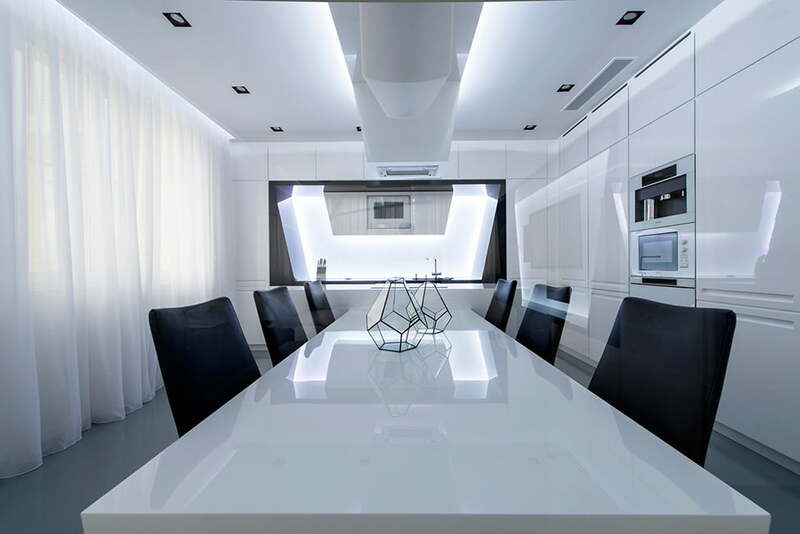 The modern interior design in black and white is simple and futuristic. 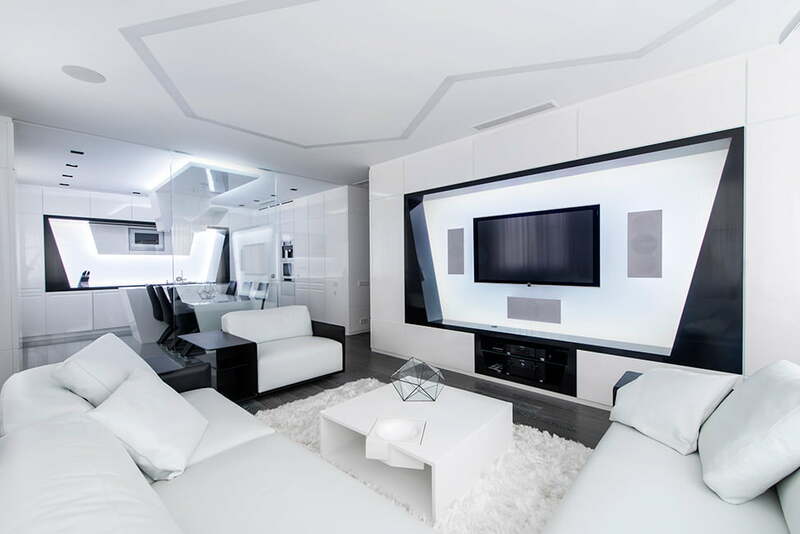 The only colors employed were black and white which increases the minimalism of the decor. 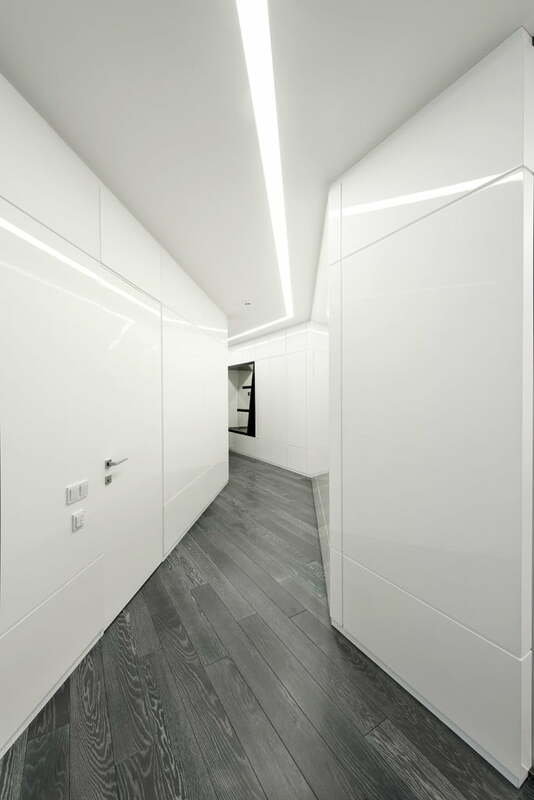 The apartment measures a total of 130 square meters. It’s part of a residential complex named Axiom. The term gave the team the perfect idea for the design. 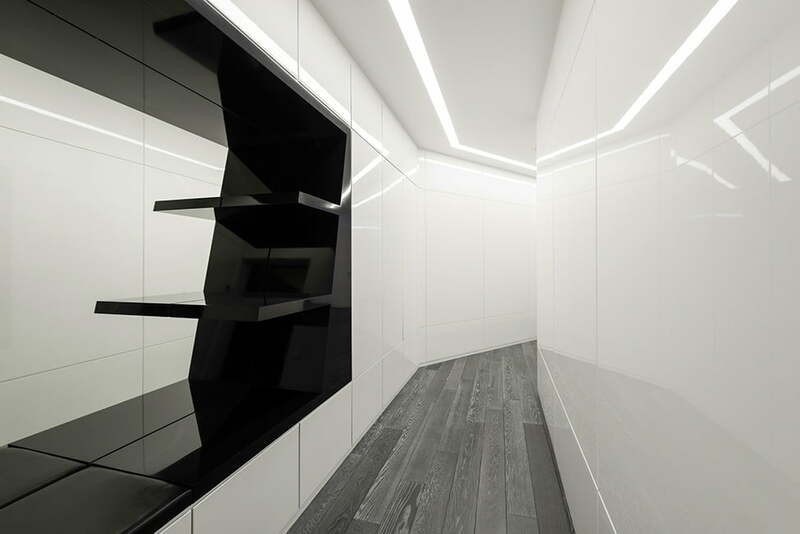 They envisioned this space as being simple, monochrome and presenting absolutely no unnecessary details of any kind.They also wanted the apartment to have a strong personality despite all the minimalism and that’s when the geometry of the space comes into discussion. 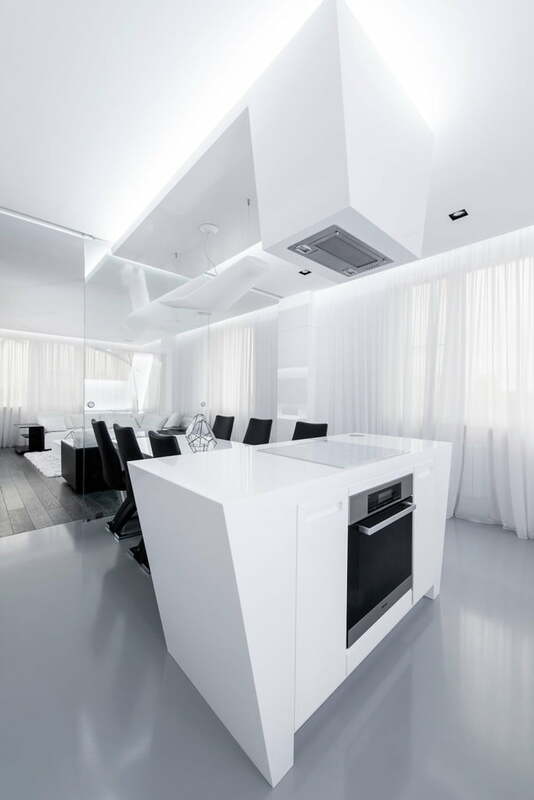 Glossy white panels offer cohesion throughout while maintaining simplicity and while also looking stylish. They give the space a highly original and futuristic appearance. 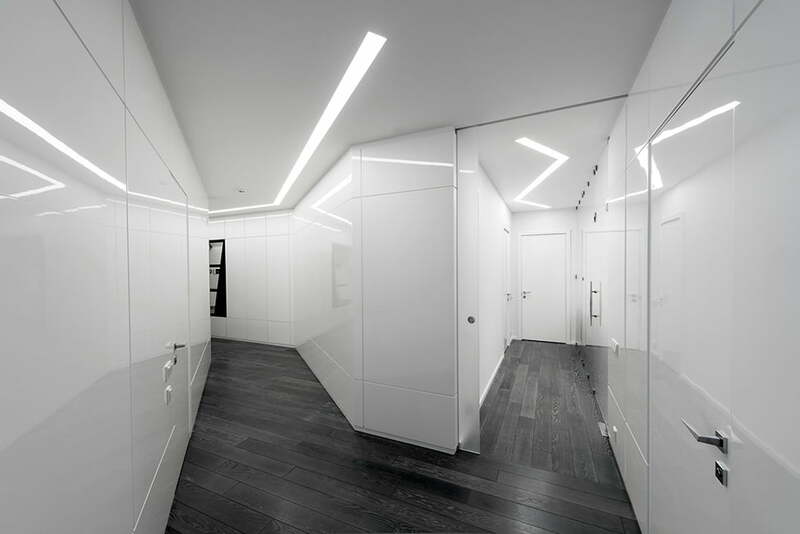 The hallways feature the same type of ceiling lighting. 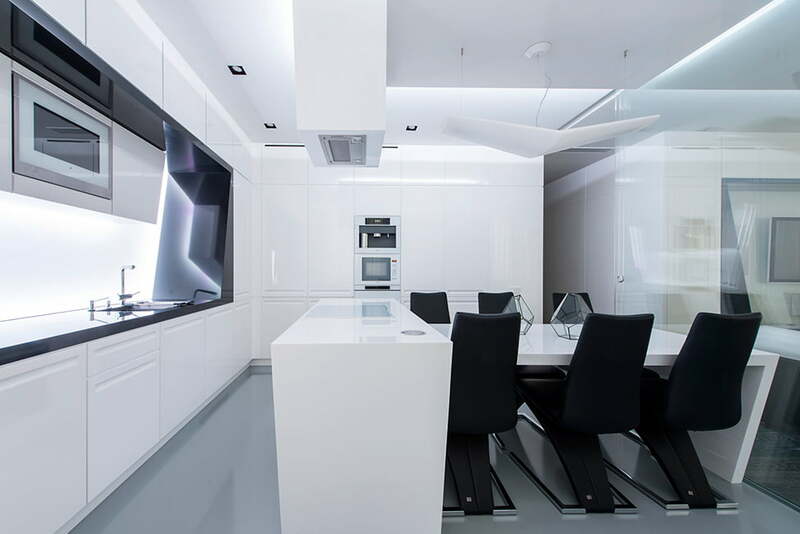 The white walls, clean angles and occasional black and gray accents add mystery to these spaces. 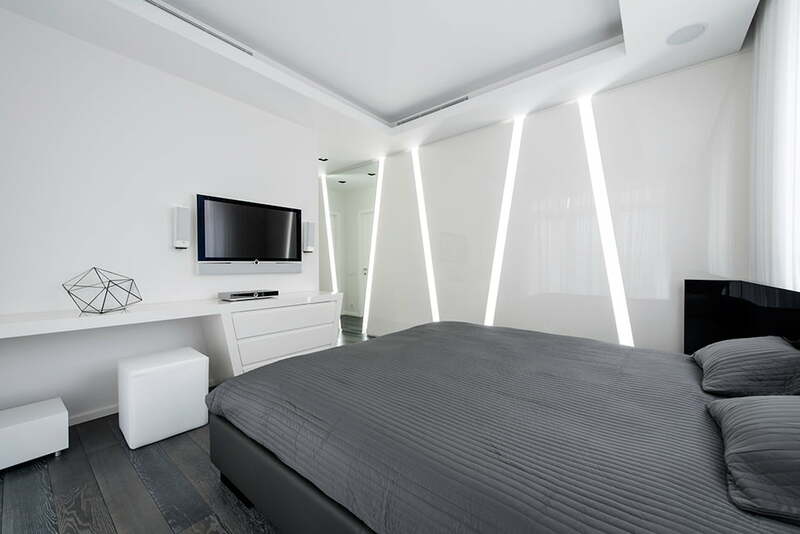 In the bedroom, the light comes both from the ceiling and the wall. 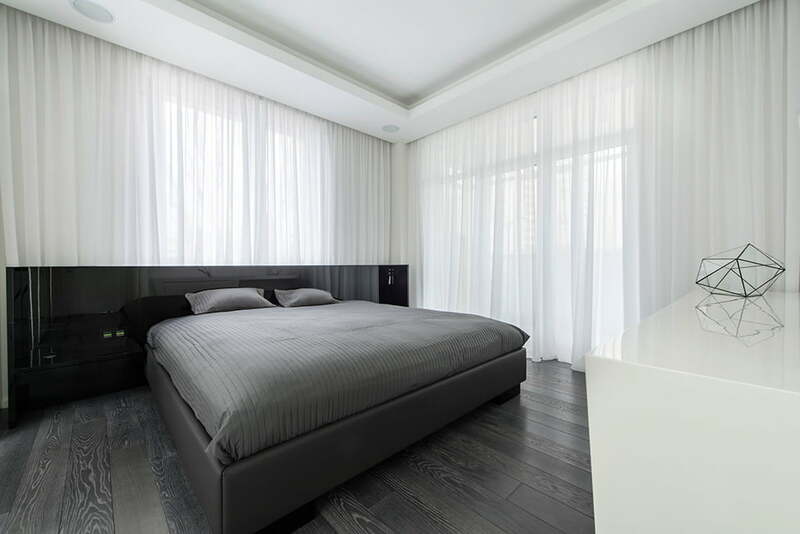 Breezy semi-transparent white curtains create a relaxing and tranquil ambiance. 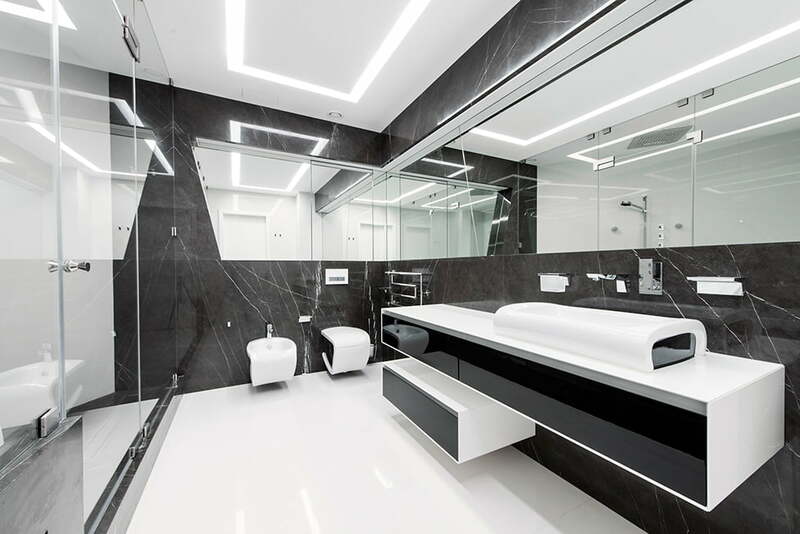 The black and white marble combinations suits the bathroom really well. 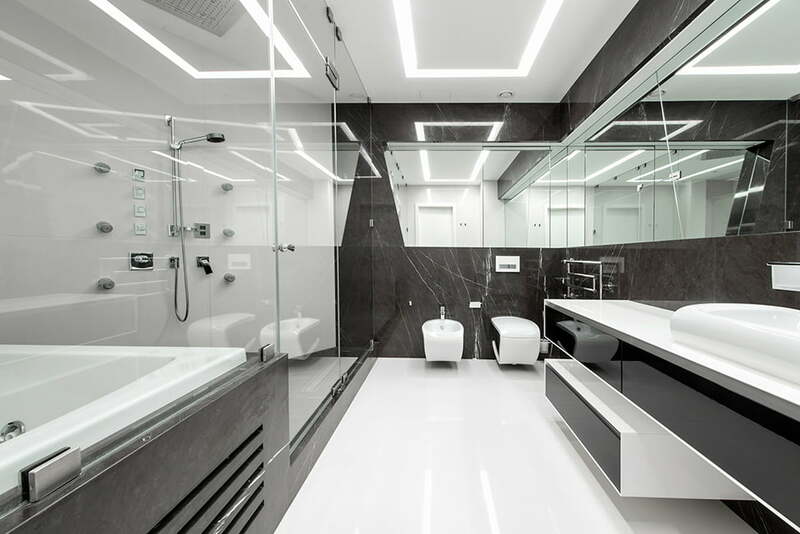 The large mirrors create a feeling of space and highlight the impact of the light fixtures on the overall Modern Interior Design in Black and White. 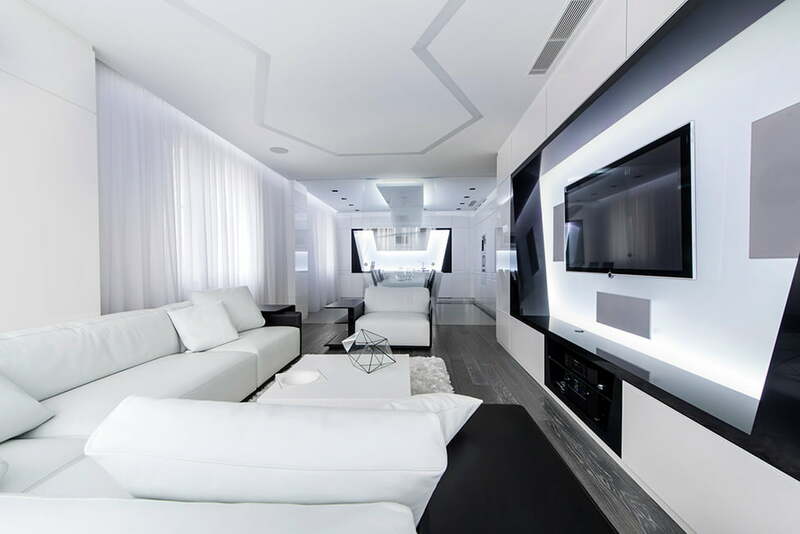 So, Designers this is all about modern interior design in black and white setups in the Moscow apartment. 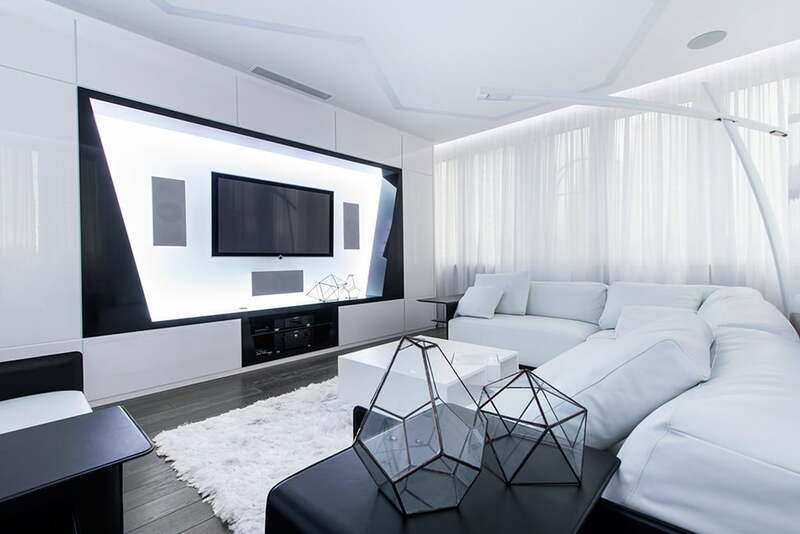 Hope if you are a lover of monochromatic decoration in your house then you definitely like the ideas the way Geomatrix Design Studio explore this Modern Interior Design.